Short range goal - Develop the breeding lines Buz Poage had been working with. The varieties resulting from this program were All-Tex WM-571, All-Tex 857, and All-Tex E-2. Medium range goal - Introduce new germplasm from all available resources. Evaluate new germplasm to find lines that could be re-selected and increased. All-Tex Quickie resulted from this process. 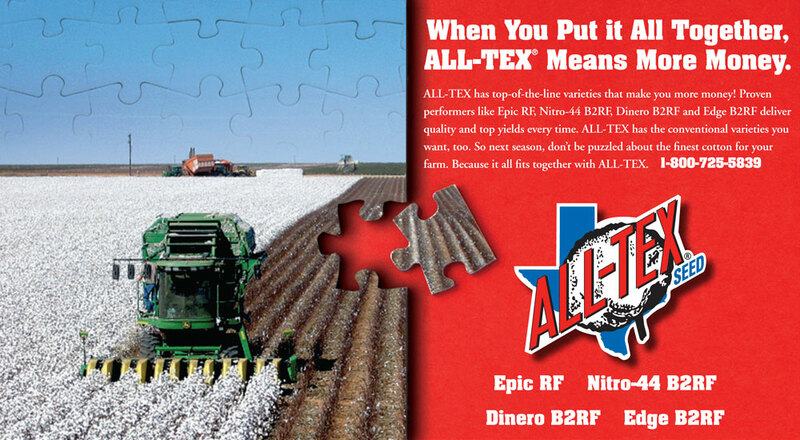 This variety became the number one choice in replant situations in Texas due to early maturity. Long range goal - Develop new varieties by crossing existing lines. The five new varieties from this effort were All-Tex Atlas, All-Tex Excess, All-Tex Max-9, All-Tex Vantage, and All-Tex Xpress.